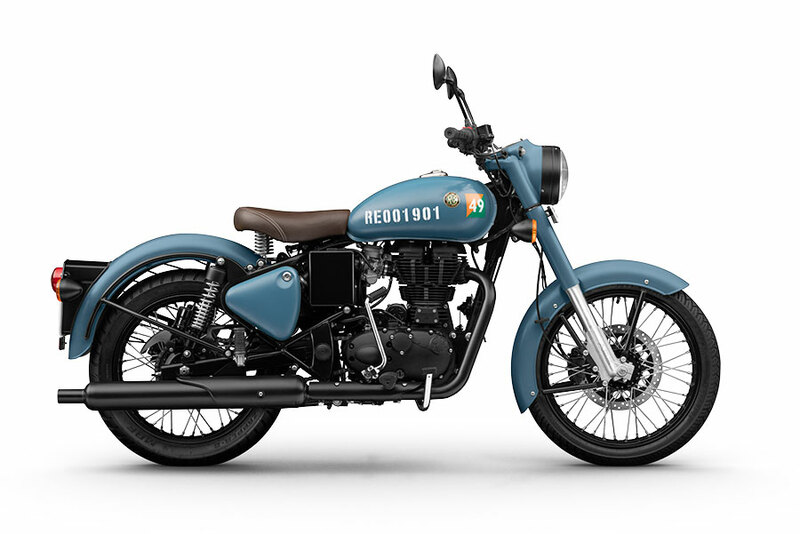 The two new colour schemes – Airborne Blue and Stormrider Sand of the Classic Signals have taken inspiration from coveted units of the Indian Armed Forces. These motorcycles will sport a distinctive stenciled number on the tank representing the production number. Each motorcycle will have a unique number, making each of them an exclusive and one-of-its-kind motorcycles. 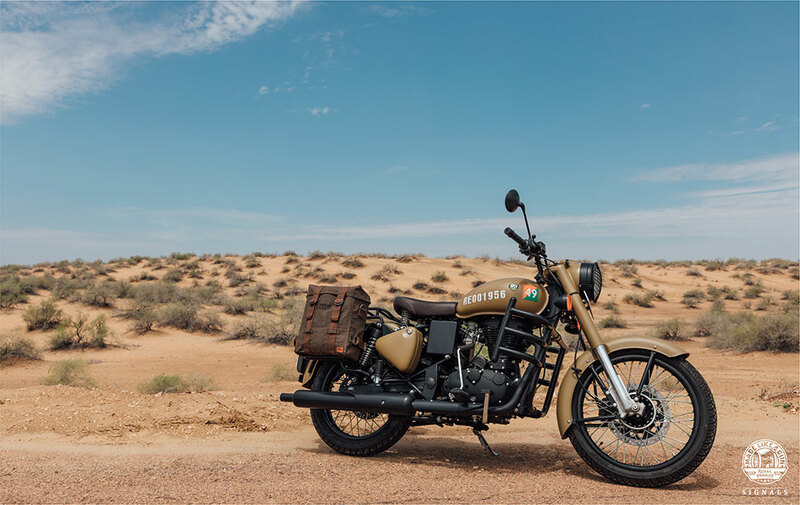 The Classic Signals 350 stands out complimented by its blacked out scheme on the engine, silencer and wheels and dark tan seat. 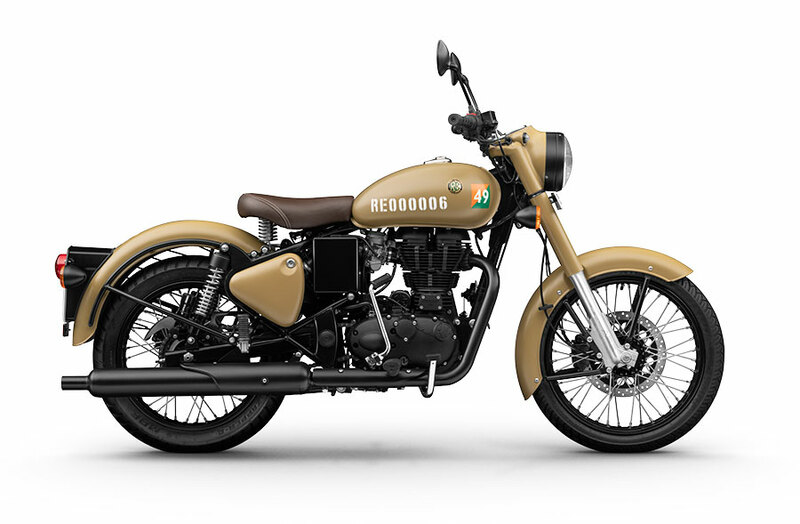 With the Classic Signals 350, Royal Enfield will introduce Dual Channel Anti-Lock Braking System (ABS) for its customers. The dual channel ABS helps prevents wheel locking under sudden application of brakes providing riders with better braking efficiency. An array of Gear, inspired by the celebrated motorcycling legacy, ranging from shirts, t-shirts, caps, lapel pins, bags and helmets will also be available. There will be more than 40 Genuine Motorcycle Accessories. Together, these add to the military appeal and enhance functionality and personalisation for the rider. These will include heavy-duty water resistant military panniers, wide range of durable steel engine guards, touring seats with 3D mesh technology for increased comfort, windshield kit for increased wind protection, durable and corrosion resistant solo rear racks and cast aluminium wheels and many more to choose from.